Raheem Sterling has scored four goals in eight Premier League appearances this season. The 23-year-old, whose existing terms were set to expire in 2020, will reportedly earn around £300,000 per week once he officially signs the improved contract, which would currently make him the highest paid English footballer. 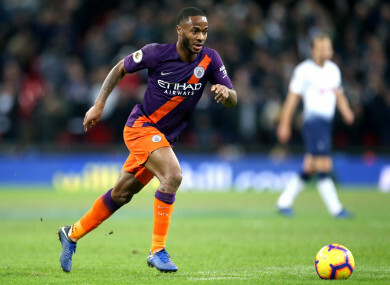 Sterling played a key role in City’s record-breaking title triumph last term and this season has netted four goals in eight Premier League appearances. Email “Sterling agrees new '£300,000 a week' City contract - reports”. Feedback on “Sterling agrees new '£300,000 a week' City contract - reports”.